That was an absolutely ordinary day at work, except for one detail, that made my head buzz. Are you interested to know what the detail was? Yes? Good. In fact, I don’t know the outcome of the story, because it doesn’t really exist. But the fact that you got interested leads to conclusion that this hook sentence worked pretty well. You need to know how to write them on your own, because you need to be able to grab reader’s attention from the very first line in all cases, including academic writing. Even if you write a basic book report, don’t leave your reader bored. Your professor has to read hundreds of boring works every semester, and certainly won’t be grateful for another one. So let’s get started with 4 tips for hooks, stronger than Muhammad Ali’s ones. When writing, you might quite often forget about people, who are going to read your work. That’s not actually a good idea: even when you write a research paper in mathematics, your professor will just sigh, if you start with a boring phrase. So, think about the guy. What could capture his interest? Interesting quote by fellow mathematician? An anecdote from the life of a scientist you’re going to refer to later in your work? Or if you write for the readers of a geek magazine, you’d better include a fascinating detail from the history of game developing/comic book creating process. You’ve got the idea, right?No spoilers, though! You should also consider whether your audience is captive or not. For instance, your college professors are captive. They are paid to read your writing. And if you need to catch the blog readers into your net – you should work pretty hard. It’s a matter of their choice, whether to read your post or not. So do your best to swing their scales to your side. You need to set a goal for your writing and have your hook sentence aim at it directly. You need to realize, what emotion you intend to evoke in your audience. Writing an essay about HIV epidemic? So it might be a good idea to open with a shocking statistics on the topic. Working on a narrative essay about the first date? Then a lovely anecdote from your life, that leaves your reader with butterflies in the stomach and sweet nervousness would do the trick. If your essay is purely scientific, you probably want the reader to get a little bit more educated. So an interesting fact or a fascinating historic detail will be a good tool to get your reader engaged. Make the hook reflect your purpose, and that will definitely be a good start for your essay. The types of hook sentences are numerous (humorous anecdote, inspiring quote, breathtaking statistics and loads of variations of the three), and there’s only one, perfect for your piece of writing. Which one? Up to you to decide. The rule of thumb works here: you probably don’t want the admission committee laugh too hard at the beginning of your essay, and the readers of your little funny essay should not be terrified at the very start. Although the hook is the first sentence of your essay, it is a good idea to write it at the very last stage. This way you’ll fully understand the main idea of your writing and be able to identify your audience precisely. I hope, when you write your next work, this advice will pop up in your head. For more interesting tips go to our Tips and Prompts section. 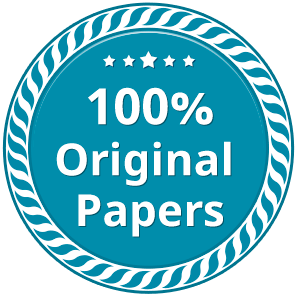 And remember – Papersmaster.com can always help with your assignments. Contact us and let the magic begin!